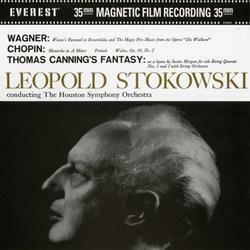 (DVD + CD set)(DVD-AUDIO) This release is a compilation of Stokowski/Houston performances recorded at the Houston Civic Center by Bert Whyte and originally released in 1960. 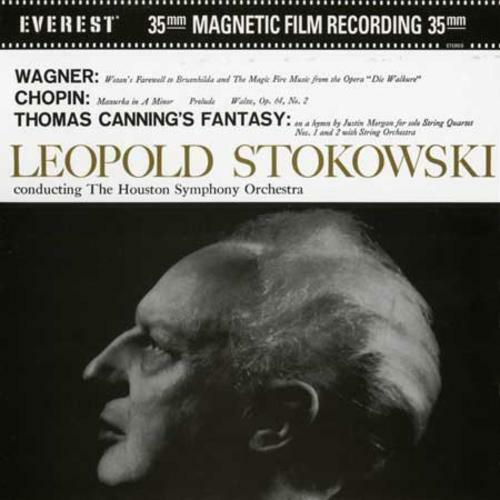 Compositions include Stokowski arrangements of “Wotan’s Farewell” and “Magic Fire Music” from Wagner’s “Die Walkure”, “Mazurka in A minor”, “Prelude in D minor” and Waltz in C sharp minor” by Chopin. Also included is the not often performed or recorded “Fantasy on a Hymn Tune” composed by Thomas Canning. Includes a bonus CD remastered. HDAD Plus is a 2-sided hybrid disc that will play in 24/96kHz on a standard DVD video player (no footage included) and in 24/192kHz on a DVD audio player.